Mercedes-AMG has revealed the first images of the high performance G 63 SUV before its official launch at the Geneva Motor Show on 6 March. Deliveries are set to begin in August. 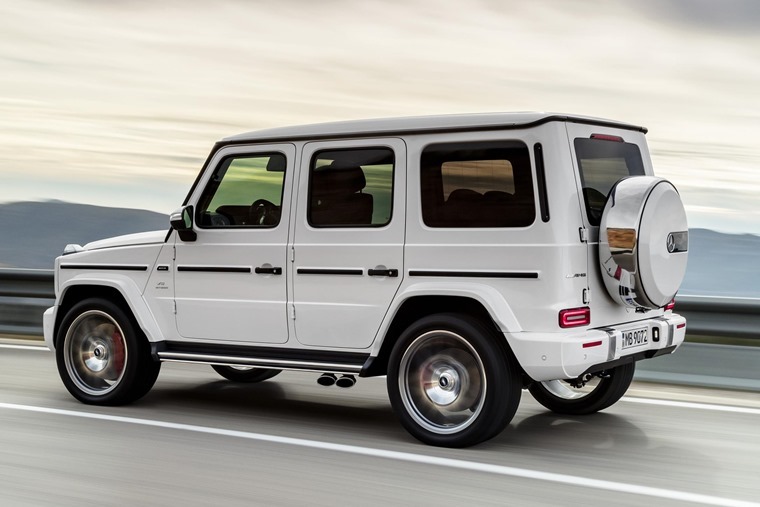 Based on the all-new and much-improved G-Class, it comes kitted out with the performance division’s 4.0-litre V8, granting the boxy heavyweight G-Class with a 0-62mph time of just 4.5 seconds. 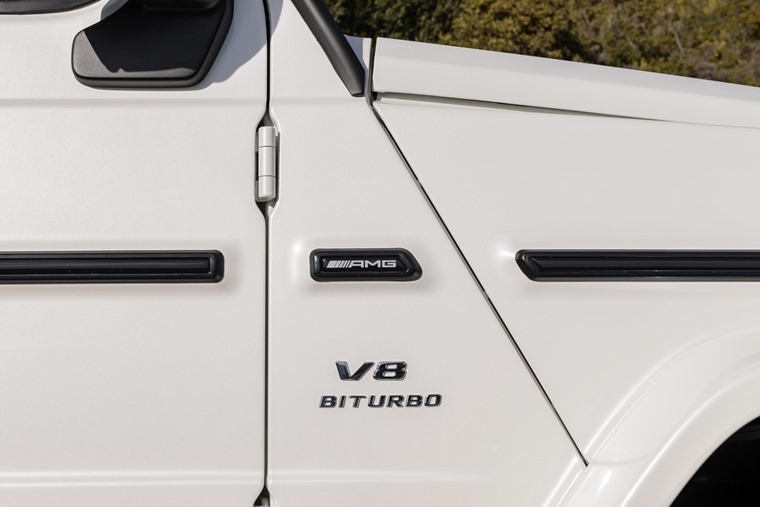 The G-Class’ boxy silhouette remains largely unchanged, although AMG-specific changes include beefier bumpers with larger air inlets, some seriously cool side-exit exhaust pipes, a unique front grille and with a host of gloss-black and matt-silver trim inserts. Other changes include the obligatory addition of AMG’s ‘V8 BITURBO’ badging, red brake callipers and a choice of 21in or 22in alloy wheels. An exclusive ‘Edition 1’ trim is set to be offered from launch, which adds a range of paint finishes as well as matt-grey sports stripes. The interior of the latest G-Class is larger and more luxurious than before, but the G 63 benefits from some extra tweaks. There’s an AMG-sports steering wheel, a grab handle for the front passenger (arguably a necessity if you plan on testing that 0-62 time) and new chrome switchgear. A large infotainment system dominates the centre of the dash, but the G 63 comes with traditional, analogue dials as standard – you’ll have to pay extra for Mercedes’ fully digital cockpit display which makes use of two vivid 12.3in screens. 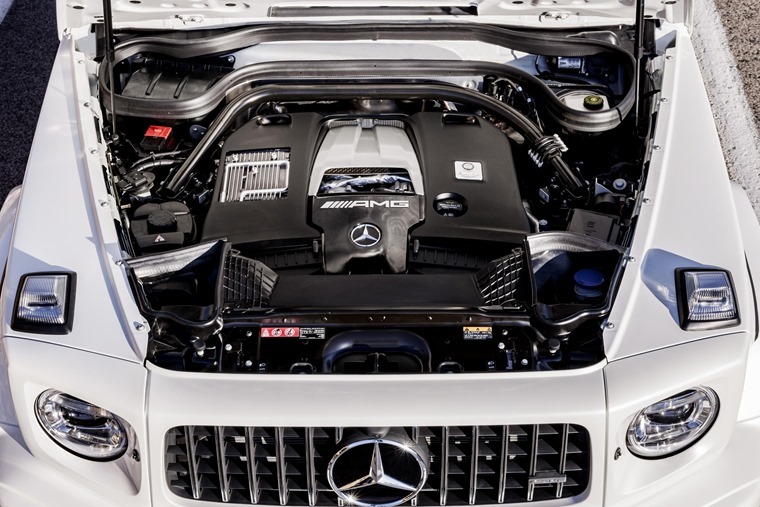 The 4.0-litre twin-turbo V8 replaces the larger 5.5-litre unit in the outgoing G, and is essentially the same engine you’ll find in a host of other AMGs. Despite its smaller capacity, power is up by 14bhp. In the G-Class, it produces 576bhp and 850Nm of torque and is capable of propelling this 2,485kg SUV from rest to 62mph in 4.5 seconds – 0.9 seconds quicker than the outgoing model. Its top speed in standard guise is 137mph, but this can be increased to 149mph if the optional Driver’s Package is specified. The motor also benefits from cylinder deactivation tech to improve fuel consumption and emissions, which now stand at a combined 21.4mpg and 299g/km respectively. 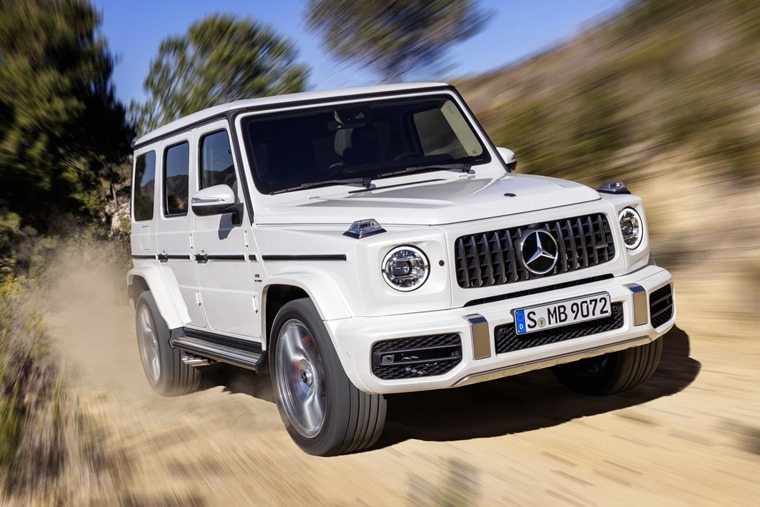 The G 63 makes use of AMG’s nine-speed Speedshift automatic gearbox, while the four-wheel drive system has also been enhanced; power is now delivered in a 40/60 front-to-rear split rather than 50/50, while a new locking differential ensures performance is just as impressive off-road too. Other upgrades include a speed-sensitive steering system that offers drivers a choice of two modes: Comfort or Sport. There are now a total of five on-road and three off-road driving modes too: Slippery, Comfort, Sport, Sport+ and Individual. 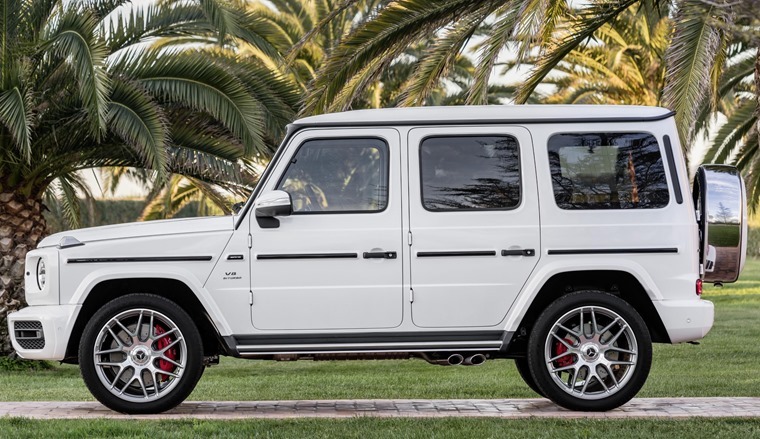 We’ll learn more about the G 63 at its official launch at the Geneva Motor Show. You can find lease deals on the outgoing G-Class by clicking here or alternatively, find out more about the new G-Class in its more standard guise.